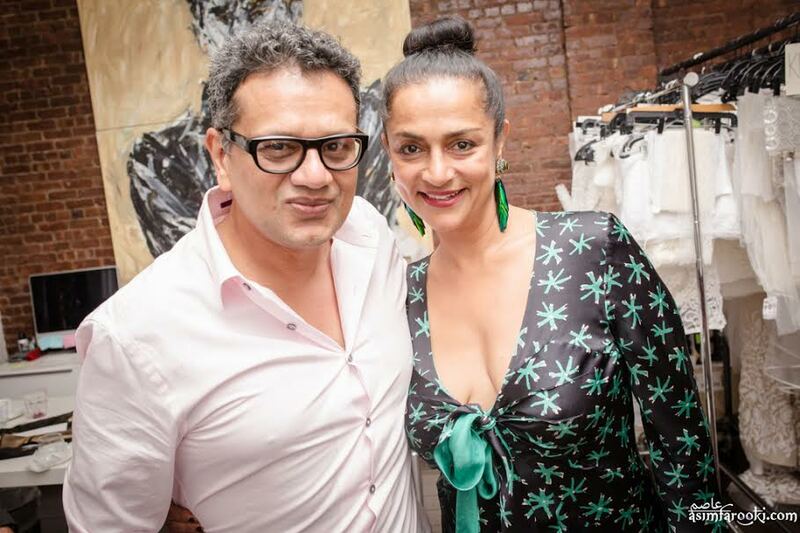 After a stellar fundraiser last year, New York based nonprofit, Wishwas, gets the support of celebrity power couple, Ranjana and Naeem Khan, again for 2014. Wishwas, a 501c organization, focuses on empowering low-income immigrant women to assimilate within society and training them in vocational skills to make them financially self sufficient. “Wishwas needs the support of our community to help raise funds for our programs that help these women in need. Our annual celebration is an effort to meet our financial goals so we can continue to create a safe space where immigrant women can come together and develop confidence in their futures. We envision a world where all women will have the opportunity to achieve financial freedom” says Wishwas Executive Director, Nivedita Chandrappa. 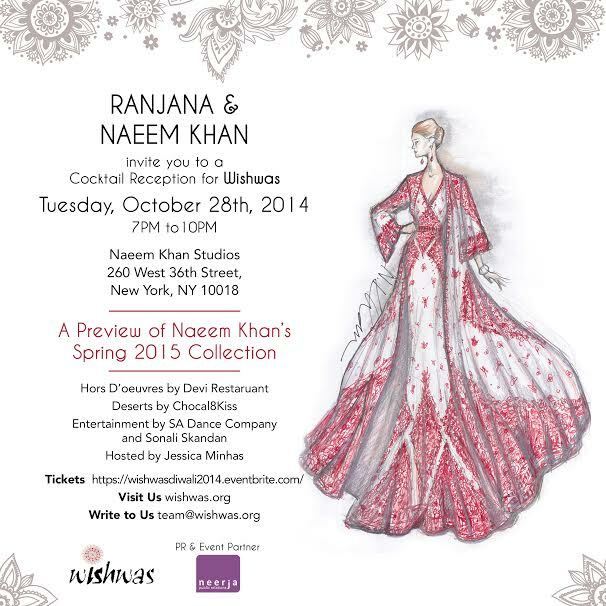 The Diwali celebration gala will be held on October 28th in New York City at the fashion house of Naeem and Ranjana Khan. Naeem Khan, Indian-born American fashion designer has styled Hollywood royalty such as Padma Lakshmi, Beyonce, Penelope Cruz, Eva Longoria, and many others. Naeem Khan also styled First Lady Michelle Obama, for the 2013 Oscars! Board Chair for Wishwas and noted jewelry designer, Ranjana Khan continually helps power Wishwas with her time and dedication to the charity. Her star power has brought the organization in the lime light and has helped build a larger following for the cause. Ranjana Khan leads in jewelry design with celebrities wearing her numerous creations of bib necklaces, earrings, bridal jewelry and woven bracelets. Ranjana’s work has been featured in top fashion magazines such as Allure, Marie Claire and many other publications. “Wishwas is close to my heart because it provides the skills that boost confidence in women in our lives. By providing them a safe environment to learn and grow, and becoming financially empowered, Wishwas has transformed the future of many women” says Mrs. Ranjana Khan. The glamorous cocktail reception will feature a fashion display of Naeem Khan’s Spring 2015 collection which recently debuted at New York Fashion Week. Guests will enjoy specialty hors d’oeuvres by Devi Restaurant, desserts by Chocal8Kiss, drinks by 1947 Beer and Wine34, cocktails by Fair-Trade Vodka, music, a silent auction and much more. Special dance performances will be held by classical dancer Sonali Skandan and SA Dance Company. Wishwas has teamed up once again with Neerja Public Relations for event management and PR for the gala. The fundraiser is expected to have leading social entrepreneurs, executives and tastemakers from the tri-state area. For more information on Wishwas and to purchase tickets, please visit: www.wishwasdiwali2014.eventbrite.com.